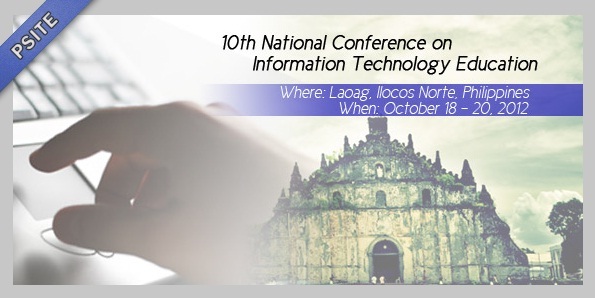 The Philippine Society of IT Educators-Region XI Chapter (PSITE-XI), in partnership with the Council of Deans for IT Education in Region XI (CDITE-XI), is once again holding the Mindanao Conference on IT Education (MCITE) and is slated on September 20-21, 2007, 8am to 5pm, at Rm. F213, 2nd floor of Finster Building, Ateneo de Davao University (ADDU), Roxas Avenue, Davao City. The venue was originally set at the University of Mindanao-Matina Campus but some problems cropped up which prompted the organizers to transfer the venue to ADDU. MCITE is an annual event anchored by PSITE-XI and is on its fifth year. This year's conference promises to be as engaging and worthy of praise as those of the past years. 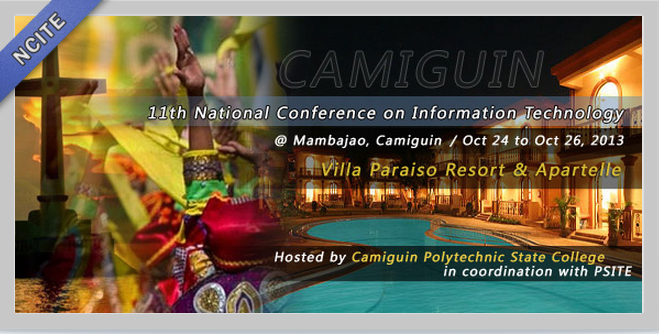 MCITE is a Mindanao-wide meeting of IT professionals in the field of Computer Science, Information Technology, and Information Systems. It will feature well-known academic and business leaders as plenary speakers. Submitted IT-based researches who have gained the nod of the screening committee will also be presented. The conference aims to provide a venue for teachers, researchers, graduate students, and IT professionals to share and upgrade their knowledge in IT. MCITE is part of PSITE-XI's commitment to promote the development of quality Information Technology Education in the Philippines, particularly in Region XI, and is a major partner of the Commission on Higher Education (CHED) in this endeavor. The main components of the conference are the presentation of twelve researches by IT professionals from the academe and industry, three invited papers from well-known professionals in the IT academic community, and technical presentations from the sponsors. Exhibit booths manned by the sponsors will also be in the vicinity of the conference. Course your registration to the following email address: rsgamboa@gmail.com. Only those who confirm their attendance will be assured of complete conference kits. You can also register and pay at the secretariat table during the conference dates. The registration fee is Php1,300.00 per participant for PSITE members and Php1,800.00 per participant for non-PSITE members. Accommodations are not included in the said fees. For more details, visit the website http://ite.uic.edu.ph/psite.